Frankly, it’s about time. Physician shortages continue to be a significant issue for healthcare organizations – and with more and more patients seeking care, physicians have less and less time to spend on preventive measures and routine treatments. By bringing qualified non-physician providers (NPPs) – namely physician assistants (PAs) and nurse practitioners – into their practices, doctors can meet their patients’ needs in a more timely and attentive manner. Physicians can also allocate their time more impactfully with NPPs on hand, prioritizing new patients, challenging cases, and specialized procedures while PAs and NPs handle less complex activities. PAs and NPs complete rigorous educational curricula to become qualified to deliver care. That’s why they don’t come cheap: Nurse practitioner and physician assistant salary rates increased in 2016, with both professions now earning over $100,000 in average annual salary. You get what you pay for, however, as there’s no indication that care quality goes down when NPPs are utilized instead of doctors. Consider the community health setting: According to the findings of a five-year study of 23,704 patient visits to 1139 practitioners, the care and practice of non-physician practitioners in community healthcare environments was largely equivalent to that delivered by physicians (as measured across nine outcomes, three quality of care indicators, and four measures of service utilization). Incorporating PAs and NPs can not only help patients get appointments faster (increasing their satisfaction and outcomes), they can also help practices achieve better financial outcomes in collaboration with their medical billing firm. The best benefits happen when NPPs are brought in strategically, with a firm plan for helping provider groups improve performance. PAs and NPs are highly valuable (and not inexpensive) professionals, so their talents can be extended well beyond the scope of vaccinations, follow-up visits, and physicals. For example, recent research in the clinic setting showed that allowing physician assistants to become workflow managers as part of a ‘Lean’ business strategy helped to increase physician productivity by 5 percent. With physician assistants managing workflow issues, doctors closed 10 percent more charts within two hours of a visit. Providers also renewed prescription refill requests within four hours of the request in 12.6 percent more cases and responded to patient telephone calls with four hours in 8.9 percent more cases. For other practices, however, having qualified help on hand to manage vaccinations, follow-up visits, and physicals is simply more important than a strategic initiative. 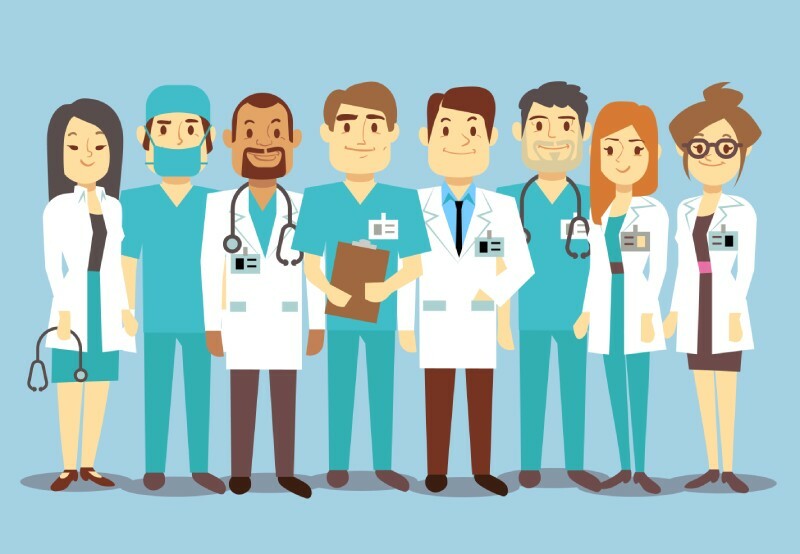 Hiring PAs and NPs can help physicians fill any care gaps in the event of a departing or retiring physician, nurse shortage, administrative change, or other transition. Regardless of your practice’s needs, consider whether a qualified NPP could help resolve your challenges.